The problem to predict a direction, axis, or orientation (rotation) from corresponding geocoded data is discussed and a general solution by virtue of embedding a sphere/hemisphere in a real vector space is presented. 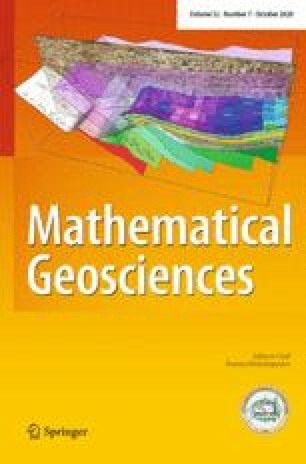 Its explicit justification in terms of mathematical assumptions concerning stationarity/homogeneity and isotropy is included. The data are modelled by a stationary random field, and the spatial correlation is represented by modified multivariate variograms and covariance functions. Various types of isotropy assumptions concerning invariance under translation/rotation of the data locations, the measurements, or a combination of both, can be distinguished and lead to different simplifications of the general cross-covariance function. Beyond spatial prediction a measure of confidence in the estimates is provided.